Add a wonderfully decorative look to your decor with this romantic scene of the Eiffel Tower on a set of 3 plates. Perfect for displaying in the living room or hallway for an eye catching feature. Paris, the city of romance and home of the world famous Eiffel Tower. 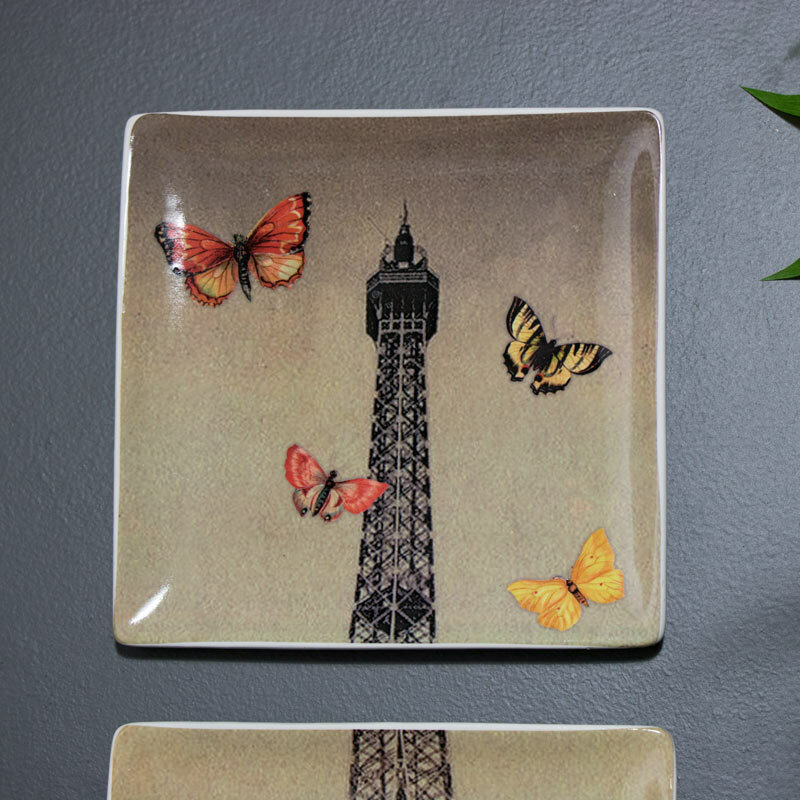 This trio of plates depicts this stunning landmark in a vintage scene with butterflies adding a splash of colour. A beautiful decorative look that will add a vintage feel to your decor. 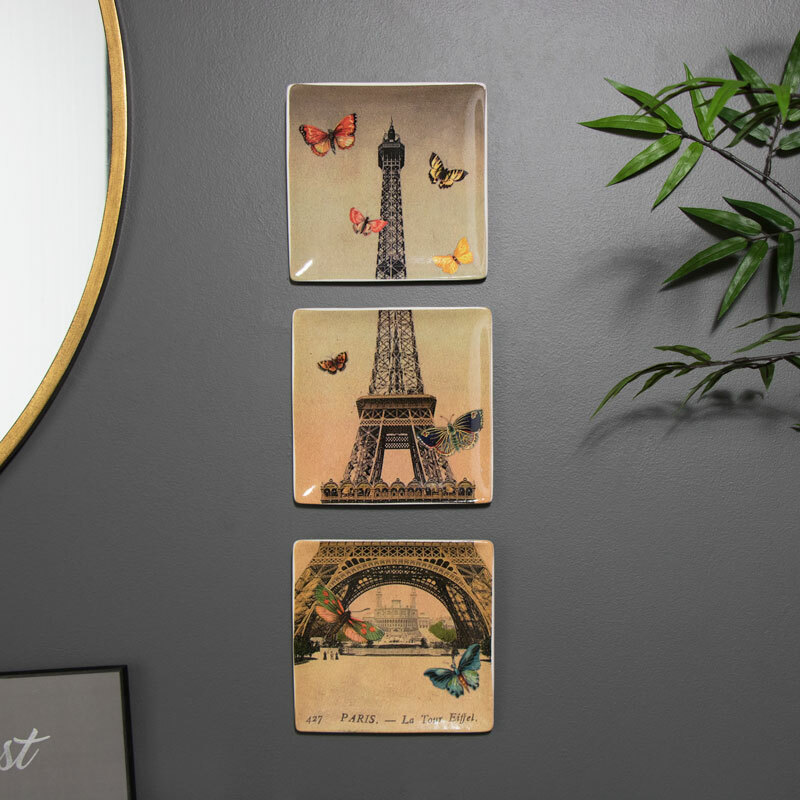 Add a wonderfully decorative look to your decor with this romantic scene of the Eiffel Tower on a set of 3 plates. Perfect for displaying in the living room or hallway for an eye catching feature. Paris, the city of romance and home of the world famous Eiffel Tower. This trio of plates depicts this stunning landmark in a vintage scene with butterflies adding a splash of colour. A beautiful decorative look that will add a vintage feel to your decor. Three ceramic plates depicting the Eiffel Tower. Each wall mounted with plastic wall fixing on the back. Can be displayed wall mounted or freestanding. A wonderful addition to our growing range of gifts and accessories.